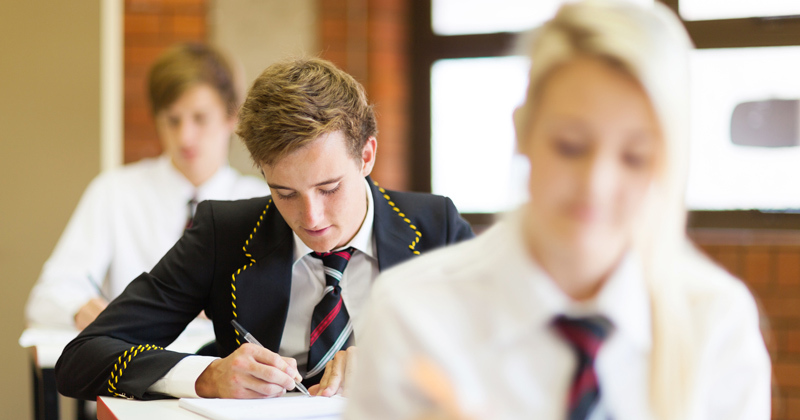 The grammar school debate inevitably triggers passionate responses on both sides. But many of the arguments put forward share a common factor – an assumption that grammar schools are “superior” to their non-selective, secondary modern neighbours. A great deal of this is down to the grammar school “brand” (which holds a particular place in the public psyche) and exaggeration of what the data included in school league tables can say about a school. This bias is so deeply ingrained that even those opposed to selection fall into its trap. Opposition to grammar school expansion is often couched as a phobia of “more secondary moderns!” I have been asked numerous times “why can’t all schools be grammar schools?”; in this sense they are making the words “grammar” and “good” almost interchangeable. In a letter to Ofsted I asked why grammar schools were so much more likely (currently seven times more likely) to be judged good or outstanding compared with secondary moderns. Its response said a key factor was that grammar schools were more able to recruit “higher calibre” teachers. This is, in my view, a truly outrageous, simplistic statement that is grounded in these same assumptions. I have previously suggested a TV programme where teachers from a grammar and a secondary modern swap roles for a week – the results could be telling in terms of which school has the strongest teachers. No one has yet taken up the suggestion. When grammar schools “score higher” in school accountability measures it does not necessarily mean that they are better schools. They are far more likely to score higher because they are teaching the most academically able students. Selection skews the intake for grammars and secondary moderns, which has a significant impact on these outcome measures. A much more nuanced analysis is required. I am working with a number of experts in school data analysis to provide a far greater understanding of what school data can tell us and some of this will be presented at the National Association of Secondary Moderns’ national conference in June. This is not a problem just with selective areas – it extends into every corner of English education. It is the problem of having a well-established, high-stakes accountability regime that is founded on a few, flawed and poorly understood metrics. So while Progress 8 has much going for it as a “fairer” measure than some previous ones, it can only ever provide a starting point for discussion about school effectiveness. The use of such a measure should be combined with a thorough understanding of the nature of the measure and of how a school’s context might have an impact on it. Nick Gibb, the schools minister, seems to support the assumption of grammar school superiority. He has urged grammar heads to take over the running of their “failing” secondary modern neighbours. There may be benefits for those grammars and secondary moderns who choose to work in partnership, but this is not a one-way street. Both schools can contribute by sharing their individual strengths. To be clear: secondary moderns can be really great schools. However, the system is currently stacked against us. It is one of the main reasons that I founded the National Association of Secondary Moderns (NASM). Amanda Spielman, Ofsted’s chief inspector, recently said: “We need to stop talking about numbers and start talking about education.” This, with the new draft Ofsted framework, suggests the start of a welcome move away from an over-reliance on school data as the way to judge schools and a chance for all schools, whether grammar, secondary modern or comprehensive, to be judged much more fairly on their merits. Great analysis Ian. Ofsted’s conclusion why Grammars get “outstanding” more often the Secondary Moderns is laughable considering it comes from on organisation that allegedly makes judgements based on evidence. It is ver clear from research at FFT data lab that current school accountability measure Progress 8 does not take account of the disadvantage in the intake . (Our Sec Mod has 44% pupil premium and 22% SEND in year 7 compared to Grammar school intake of 3% pupil premium and 0.3% SEND) Furthermore the idea that Grammars improve social mobility is plainly delusional. This situation will soon be exacerbated as Grammars get their hands on the £50m expansion fund and seriously impact the numbers and skew the intake of the Secondary Moderns. The big beneficiaries of course will be private tuition agencies and estate agents in selective areas. Non-selective schools in selective areas (aka secondary moderns) are inevitably seen as inferior to grammar schools irrespective of the quality of education offered. In the worst cases they are judged as ‘failing’ because their results aren’t as good as the selective schools even if Ofsted has judged them good or better. The only way to overcome this deeply-ingrained prejudice is to make grammars comprehensive.